Hello! My name is Drake Everson, and I am from Fort Wayne. I spent my first two years of undergraduate education at Parkland College in Champaign, Illinois before graduating from Indiana University with a degree in chemistry. After my time at IU, I worked for a year in the healthcare field as a technician, which was a fantastic experience that solidified my desire to pursue a career in medicine. I then attended Marian University College of Osteopathic Medicine where I was able to train here in Fort Wayne during my third and fourth year. I chose Fort Wayne Medical Education Program for a variety of reasons. There are many opportunities for learning and growth with the program being unopposed. 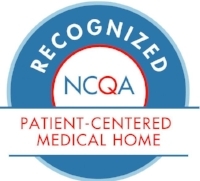 The residency provides flexibility in learning different procedures and techniques that allow physicians to treat a wide variety of patients. The most important thing that stood out to me, however, was the people. The residents, faculty, and staff at FWMEP are all extremely kind and helpful. I could tell that they deeply care about their patients along with developing brilliant, well-rounded physicians. I am also extremely excited to work and take care of patients in the great city of Fort Wayne! Outside of medicine, I love spending time with family and friends. I enjoy exercising at the YMCA, playing tennis and basketball, and rooting for the Indiana Hoosiers! I also enjoy watching Game of Thrones and The Office as much as possible!